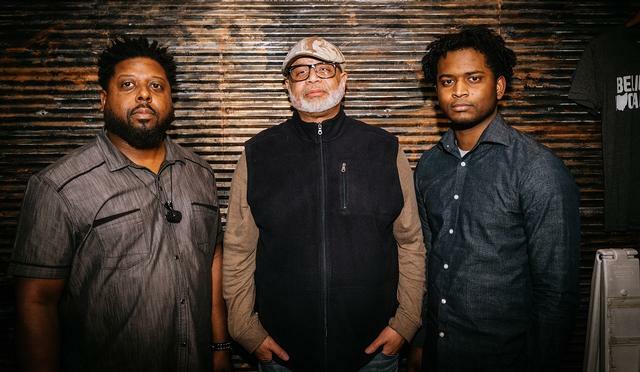 Best known for their sizzling live performances, the fo/mo/deep groove is rooted in the experimental school of the 70s…a time when jazz, soul and funk were one and the same. Seeking to defy the ordinary, this diverse collective of seasoned pros keeps things stirred up with unpredictable energy that moves. The music harkens back to the days when super groups hypnotized the world with bass driven ensembles and a full-bodied sound that reigned supreme. fo/mo/deep plays music like it’s meant to be…hot, incalculable and emotionally satisfying. fo/mo/deep released their most eclectic work yet, “The Groovy Goodness” on June, 2014. Brent Black of Critical Jazz wrote “A release as deep and rich as the cover art, I’m hooked….” Both “A Beautiful Bang” (June 2012) their 2nd CD release AND their first CD, “Eclecticism,” (August 2010) was received with rave reviews. Rob Young of The Urban Flux declared, “Their unique groove uncoils with a twist of eclectic jazz/funk rhythms that’s not heard often enough these days.” Formed back 2007 by Bassist/Bandleader, Ron “FatKat” Holmes, Jr., they are now known for their intelligently energetic and unpredictable shows, created a formidable reputation for this jazz-funk-world infused band.